PLEASE SHARE THIS POST TO ALL MUSICIANS! Artists need to hear that Pledgemusic is STEALING money. VERY bad news. We Are The Catalyst is officially being robbed by PledgeMusic. The money YOU guys have pledged to us in the “Ephemeral” campaign has still not been paid to us from pledgemusic and it seems like they are stealing it. The release is due on the 13th of February and we have NO WAY of fulfilling our end without the money they are holding from us. We have seen other artists online in just these past days talking about the same thing, not getting the money they are due from PledgeMusic. Like Amanda Duncan, owed 3000 $. Billboard.com even wrote about it. Also a video being passed around of Danny Vaughn talking about pledgemusic not giving him money has been seen by many in the past days. With some more research we found out that this has been going on for months, Yet Pledgemusic STILL starts NEW CAMPAIGNS all the time. Without paying out those campaigns that have finished! HOW? WHY? This is a total outrage, and artists SHOULD NOT use Pledgemusic until this is 100 % resolved for every artist. The total sum “owed” us right now is 3385 €. Pledgemusic are entitled to 15 % of this as part of the deal. And ONLY 15 %. We are now looking at taking legal action as they are not even responding anymore. Sadly. 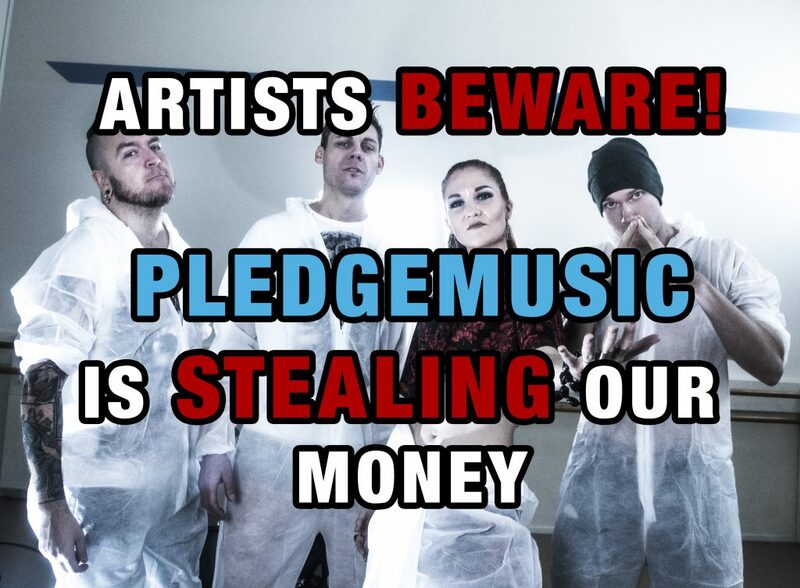 We love the idea of pledge, but this just can´t keep on happening to artists and fans. When we first asked them about payment they said (back in october I believe) that they would pay out a part of the sum (75%) once the campaign goal had been reached. Fine we thought, that was absolutely reasonable. The rest would come after we had fulfilled all pledges. – Once we reached the goal on the 17th of November NOTHING happened. – Then months followed of us asking them when they would pay us part of the money so we could fulfill the pledges, ordering everything and making arrangements for shipping. – Silence followed with the occasional “working on it” reply. – Now finally on the 14th of January we recieved an email from the very heads of Pledgemusic explaining that they are having financial issues but are hoping to sort it ASAP. “Within a couple of days” they said, it should be resolved. – I explained to them that if they did not transfer part of the money we would not be able to afford the shipping costs for the orders (which they of course know). We have already covered the printing of all the merch and cds etc from our own pockets. – Then silence followed, with no more replies to our emails. – We then went back to them again a few days ago and said that if they do not respond and transfer the money we will have to go public with this. Explaining to our fans WHY we can´t ship the orders, and that they are stealing our money. – We have yet to receive a reply to this. We are now running late on shipping the orders as we just can´t afford to do it from our own pockets at this point. Without the large donation we recieved from an anonymous awesome fan (not on pledgemusic) we would have NOTHING now. With that money we have at least been able to hire the PR company that the whole pledge campaign was for. We now urge you all to send an email to pledgemusic demanding that they pay out the money to us so we can ship your products. They won´t listen to us, but maybe they will listen to you? Prev Post: “Over Pale Waters” – New single and video! Next Post: “Ephemeral” Out NOW!